In a rare move for K-pop, BTS’ UN speech about self-acceptance embraced everyone including sexual minorities. 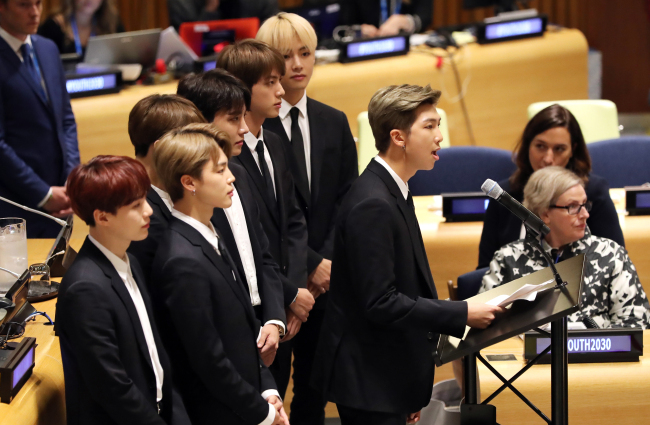 K-pop sensation BTS embraced self-love and encouraged young people around the world to “speak themselves” regardless of their origin, skin color and gender identity, in a speech at the United Nations General Assembly in New York on Monday. 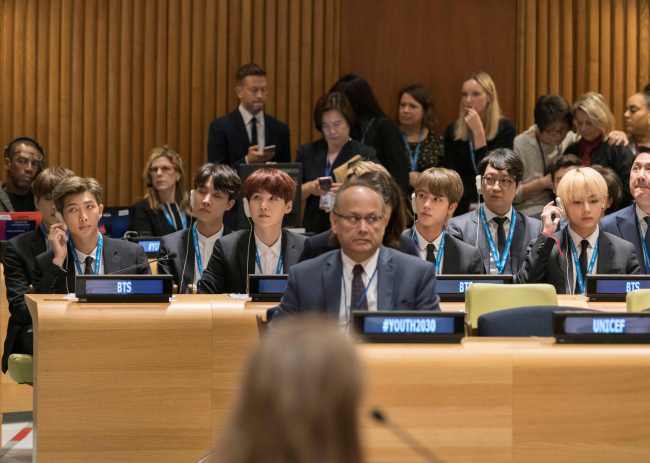 BTS is the first South Korean act to address a UN session. 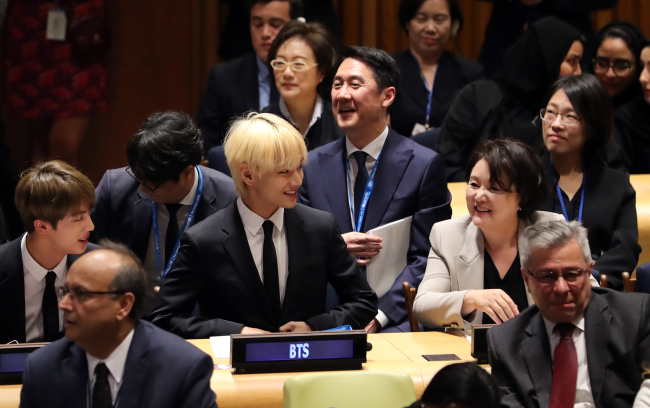 During the speech, Kim reminisced about his happy childhood in the city of Ilsan, Gyeonggi Province, in South Korea before he began to worry about what other people would think and eventually “shut out” his own voice. Despite the hurdles that he faced even after joining BTS, Kim said that he has come to love himself for who he is, who he was and who he hopes to be. He urged fans to speak up for themselves and tell their stories. Singers like Amber of f(x) and Jo Kwon from 2AM are among those in the K-pop scene who have had to deal with online criticism over their looks not conforming to traditional gender expectations. In a rare move in June, singer Tiffany from Girls’ Generation thanked the LGBTQ community for the love and inspiration it has showed, in an open letter she wrote for Billboard. The self-love-themed speech received a warm reception both at the venue and online. Another user wrote, “People should start realizing that BTS isn’t your typical boy group, but more of a movement to the youth. They’ve been using their platform to speak on issues they believe in, including the hardships they’ve gone through as an idol and individually. The proceeds are used to protect and support child and teen victims of domestic and school violence as well as sexual assault around the world. The funds also provide education to local communities for violence prevention, according to the campaign’s official website. The campaign falls in line with the group’s “Love Yourself” trilogy spanning multiple records, with self-acceptance and self-love as the main themes.